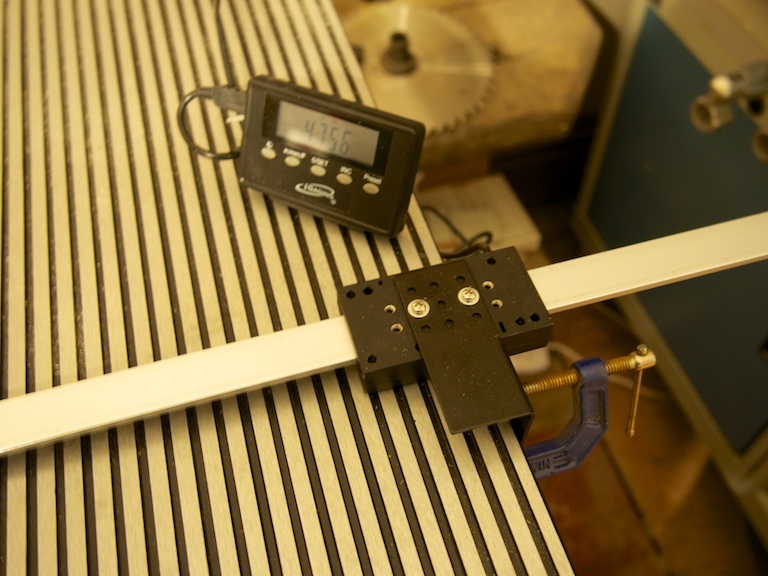 The Shopsmith's extension tables and varying height make it difficult to attach a rip scale. The newest model uses a removable magnetic strip. Unfortunately, Shopsmith changed the front rails to accommodate the rip scale, so to purchase the option for mine would cost $200. Instead, I bought this digital readout from iGaging. At this writing, the price is $45. The readout can display in millimeters, decimal inches, or fractional inches to 1/64. I really like the 1/64 display for woodworking. 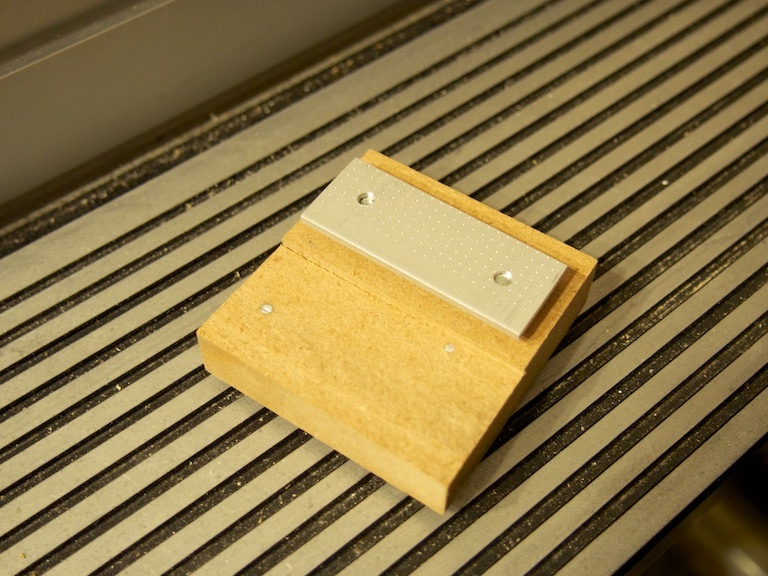 It's important that the DRO can be quickly removed, so that the Shopsmith can be converted to other uses. I have it attached with a clamp on the right and a magnet on the left. On the right, I'm using the included right angle bracket to clamp the encoder in place. The encoder is stationary and the scale slides with the fence. There's some flex in the bracket, but the magnet on the far end is capable of holding the scale square. 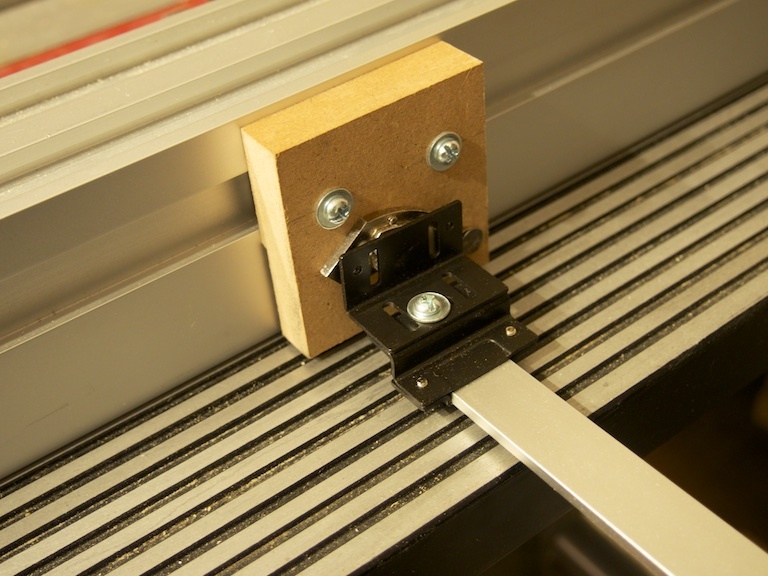 I'd like to make a more rigid bracket that would clamp square to the table and provide a place to attach the display. The only custom part in this setup is the bracket below. It connects to the fence's t track and provides the magnet for attaching the scale. 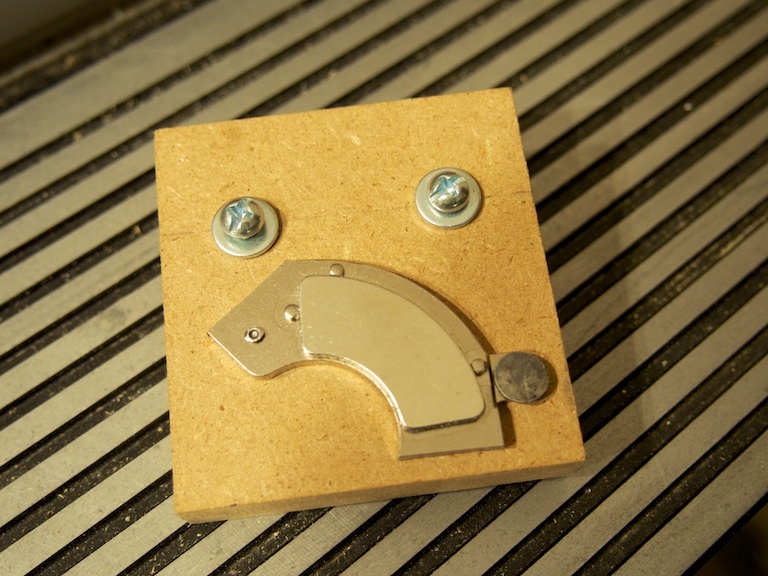 The magnet is attached with two nails, as screw heads would have protruded past the magnet. On the back is a homemade t-slot nut: a piece of aluminum with two holes tapped in it. I cut the nails off flush to the back of the MDF, but I was afraid they'd still scratch the fence, so I cut about an 1/8" off to make a gap between the bracket and the fence. To calibrate the scale, I move the fence until it's just touching the blade, then zero it. I think a preferable method would be to move the fence an inch or two away from the blade, cut a board, measure it with the calipers, and then set the gauge to that value. I've seen a few discussions about using this DRO with an arduino, so I suspect it would be possible to build an interface with this feature. With the current setup, my test cuts tend to be off by about .004" That's plenty accurate for everything I'm doing, and I suspect the imprecision has more to do with my abilities than with the DRO. Update, 12/5/14: I've switched to using a floating table, for most work. 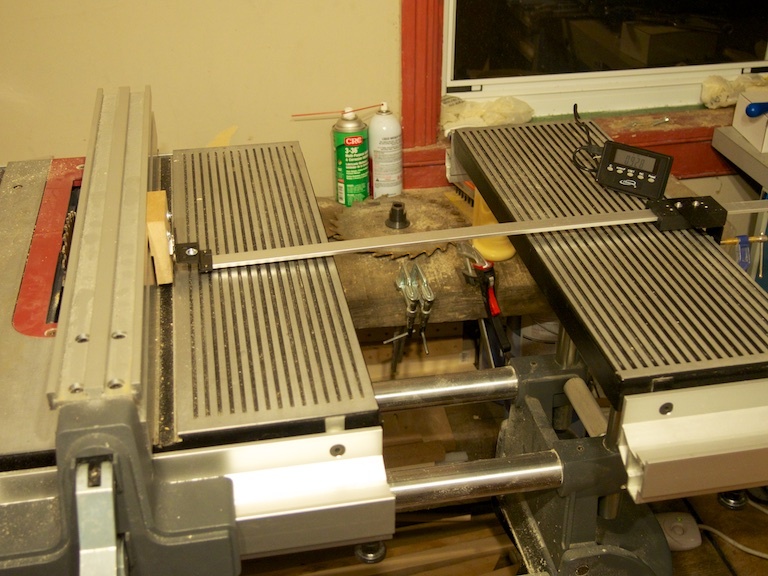 With the floating table, I can do cuts up to 16" from the blade, and it's a lot more convenient to adjust height, since the floating table moves with the main table.